Centralized computing entails a central computer storing and processing all data with multiple machines (clients) accessing it. Decentralized computing has no central instance and data is stored and processed on the machine it is used on. The currently predominant computing paradigm, namely cloud computing, is centralized. The Internet of Things (IoT) is pushing the industry once again towards a distributed computing paradigm. In this context it is called Edge computing. Edge Computing aims to store and process data on end devices (so called edge devices or nodes) like smartphones, routers, and the IoT end devices. We view Edge Computing as an extension of the cloud, adding value and functionality on the edge of the network. Note: Fog Computing and Edge Computing definitions vary and overlap widely. This is just the definition we use. What is the Azure Sphere? The Azure Sphere is foremost an operating system for “small chips”, or more exactly, Internet-connected microcontroller units (MCUs). It was developed by Microsoft for Internet of Things (IoT) applications and comes with integrated cloud security services. As of today, it runs on a MT3620 MCU produced by MediaTek in collaboration with Microsoft. Microsoft Azure, Microsoft’s cloud solution is closely related to the Azure Sphere. Security and user management, configuration and deployment can be analyzed and modified using that web interface. Its operating system is a shrunk Linux kernel with an embedded libcurl. This allows one to write efficient C code using well-known APIs, resulting in faster prototyping and platform-independent code. It specifically addresses security, which is one of the biggest IoT challenges. Sphere devices are updated by Microsoft. Edge Computing needs to work within an ecosystem from very small to medium sized devices in order to be scalable. Furthermore, we looked at the lifetime costs: Firstly, we chose Azure Sphere, because it can save maintenance costs. Secondly, because there is one unified interface to the platform, the platform itself may be used for any task imaginable (e.g. facility management, real time inventory, etc.). Thirdly, Microsoft’s security solution provides Over-the-air (OTA) updates. Therefore, it takes care of keeping the operating system up to date for you. E.ON, one of Europe’s leading energy companies, started a cooperation with Microsoft for designing a Home Energy Management system based on Azure Sphere devices. Crosser uses the Azure Sphere environment to collect and analyze industrial asset data. The Indian startup Spektacom developed a “Power Bat” to enhance Cricket with IoT using Azure Sphere. The Oil & Gas industry, as one of the classic IoT edge use cases is an ideal future case for Azure Sphere. These use cases exemplify a key consequence of using the Internet of Things in everyday devices: they may not only read and analyze sensor data, but also control the machine they are attached to, even autonomously. In connection with intelligent algorithms, these devices are able to make far-reaching decisions and thus maximize overall efficiency. ObjectBox can greatly simplify the process of data collection, transmission, and processing. Let’s now see how ObjectBox is able to solve common problems encountered when integrating IoT into any kind of environment. Let’s now see how ObjectBox is able to solve common problems encountered when integrating IoT into any kind of environment. Scalability, i.e. integrating new devices into a fleet of existing ones, can be challenging because of the gigantic amount of data it generates and that must be transferred to a high-level entity. ObjectBox’s speed advantage provides a solution to this. Confirmed by 3rd party reviewers, ObjectBox outperforms alternatives in all areas. Thus, it offers higher rates for data transmission, storage and retrieval. ObjectBox is created from developers for developers. Because ObjectBox’s programming interfaces are exceptionally easy to use, development time can be minimized and first prototypes can be delivered after a very short time. Additionally, it is necessary to make sure data is always up-to-date and prevent unintentionally storing redundant or meaningless data. Our synchronization feature, coming up soon, will solve that out-of-the-box for you. Find the full technical description and download on GitHub. Last not least, we are always happy to hear from you. Post any questions you may have on stack overflow tagged ObjectBox. 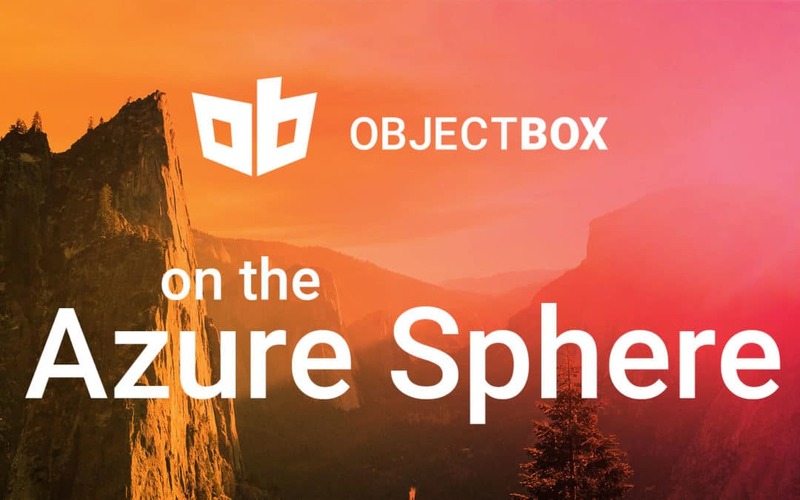 Please share your thoughts on ObjectBox on Azure Sphere with us via Twitter, Facebook, or Mail (contact [at] objectbox . io). The benefits of edge computing stem directly from the underlying paradigm: Edge Computing is a decentralized computing architecture as opposed to a centralized/cloud computing model. 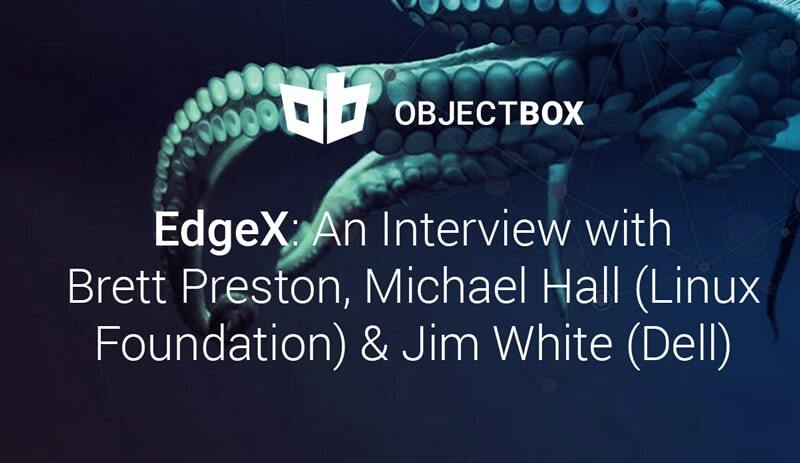 We were thrilled to speak with Michael Hall, Brett Preston (the Linux foundation) and Jim White (Dell) about their open source platform EdgeX. 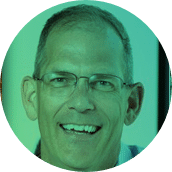 Jim is Vice Chair of the Technical Steering Committee of EdgeX. He is also Team Lead of the IoT Platform Development and IoT Solutions Division at Dell. Michael is Developer Advocate and Community Manager at the Linux Foundation. 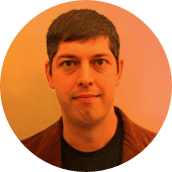 Brett is Developer Advocate and Community Manager at The Linux Foundation for EdgeX Foundry. Vivien: What is EdgeX and where are you at with it? 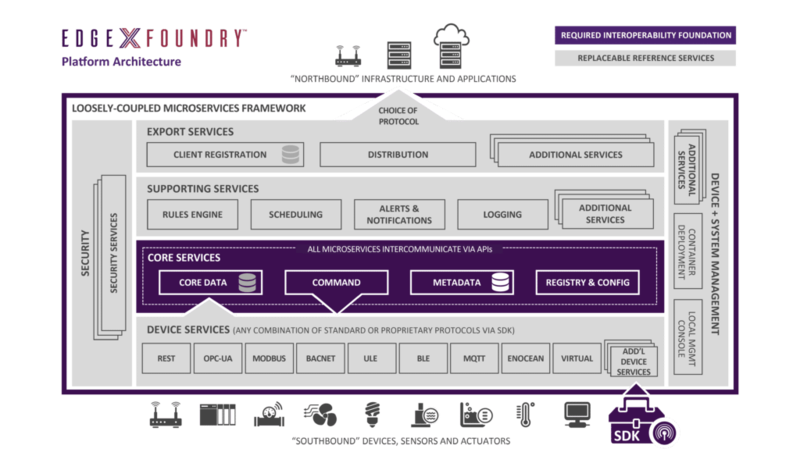 Michael: EdgeX Foundry is a vendor neutral open source platform containing a collection of micro services that take care of different aspects of what you’re going to need to have an edge computing platform. If you’re making IoT devices, you don’t want to reinvent that layer of the stack. Having that common platform for IoT is something that is going to benefit everybody. The Linux Foundation is a neutral umbrella over EdgeX. Inside the project are all the member companies who are actually funding the development, putting developers and marketing resources in, to make it an actual, usable product for everybody. That’s the model of the project and the actual code itself. The main goal of EdgeX is processing and transporting data between IoT devices and sensors and things in the cloud and on the backend. The focus is on being able to respond locally as much as you can, so that you don’t have the latency of going on the cloud and back. And also, being able to continue working, if you loose that connection. Jim: EdgeX is a an open source platform containing a collection of micro services that take care of different aspects of what you’re gonna have to do to have an edge computing platform. Any of those are semi-dependent: You can replace anything you need to replace. For the status of the project: We just had a year of fast pace growth and we have rewritten everything in Go, so all of our processes are a lot smaller and more efficient now. Vivien: How are you currently tackling local on-device data persistence? 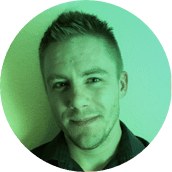 Jim: We currently use Mongo DB as the persistence engine although we could support almost any kind of persistence store at the edge as long as it was small enough. We also have used SQLite in the past for a couple of customers. However, Mongo DB is the largest element in our portfolio of services. There are a couple of reasons why we are probably going to offer an alternative to Mongo with our next big release in spring 2019: Footprint, licensing, and lack of support for ARM32. Michael: As we are a collection of microservices, you can always swap out individual pieces depending on what your needs are. Vivien: Is EdgeX and its components restricted to certain licenses? 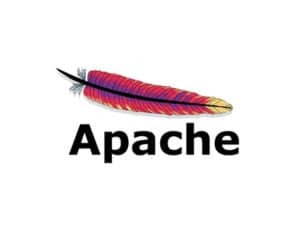 Jim: EdgeX is an Apache 2 license open source project, so we prefer Apache 2 level or at least a compatible license, because we want to be very business friendly. We want people to take the application and use it in all sort of settings, including actually embeddeding it in gateways. We also want to be very decoupled at discrete points. For example, if I’m a company like Dell and I use EdgeX. If some of my customers have an absolute demand that a certain database be at the heart, then I want to be able to choose the database, depending upon the customers, the use cases, and the environment that they find themselves in. EdgeX is all about the flexibility. So, for this example, we offer what we call a reference implementation database. Customers or users could take EdgeX and replace elements with their own technology, which may not be open source even. Michael: You can take what’s open source and add proprietary file systems or hardware depending on what your specific needs are. EdgeX tries to be that common open source base. It provides all of the functionality in a open source license but that still lets you replace bits as needed with whatever it is that you want to run. Vivien: Can you give us an example how and where EdgeX is currently used? Jim: There are over 70 companies now that are part of the EdgeX community and each group is using it differently. There are some that are serving EdgeX as the Red Hat model: they are providing distribution, services and support behind EdgeX. A company like mine, Dell, we’re trying to find a platform that actually goes on our gateway. So we’re going to build a commercial version of EdgeX for our own platform. There will be pieces that we will replace based on better performing mechanism to some of our cloud based products. Then you have other groups out there that are proving particular services for EdgeX, for example edge analytics. There are lots of different service capabilities where we see potential replacements. Then there are companies like Samsung that uses EdgeX in their factory floor to help run their automation. So, they are users, but they also want to make sure EdgeX meets their needs. Our community is made of snowflakes, they are all very special *laughs* – common goals but different use cases for almost everybody that is part of the organization. Vivien: That sounds really cool. In your opinion, moving the data to the edge, what is the edge, where do you see the data ending up, for example more on the sensor level or gateway level? Latency concerns, cost of shipping up the data, and the ability to actuate locally are key reasons why you have to have edge software. Jim: We absolutely believe EdgeX is a mechanism for the edge. While you could run pieces of EdgeX on the cloud, we do not believe is what the future holds. There are gonna be certain use cases where that works, but latency concerns, the cost of shipping up the data, and the ability to actuate locally are all key ingredients and reasons why you have to have edge software and edge platforms. Now, these are gonna get smaller. At Dell, we are manufacturing gateways of different sizes, because we know that certain use cases are gonna dictate a larger box and other are going to dictate something like a Raspberry Pi or even smaller. We have companies in our foundry that are looking at running parts of EdgeX in things like PLCs, to help address their realtime needs. 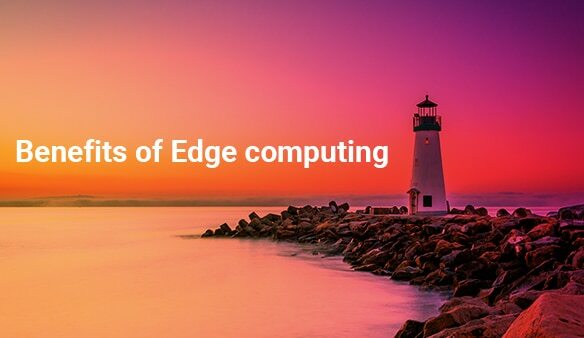 So, we absolutely believe that the edge is very much going to be a part of our IoT environments. There are going to be use cases that dictate different levels of compute all the way up from sensors to cloud. Michael: And all of our member companies see a need for that platform, but that platform is not going to be their product or their service. So everybody wants it to exist, so everybody is gonna work together to make it exist, so that they can build their own value-add on top of that or below their device level. Everyone agrees that this is an important thing, that we have to have a solution there for all the innovation that people see on the horizon. Markus: So, small device level versus gateway – would you say your current focus is on the gateway? Jim: I would say that it really isn’t that one or the other is more important. You’re gonna have situations, as we know from a Dell perspective, where what we call a brownfield device (e.g. a 1979 modbus engine) needs a gateway, because it doesn’t have the ability to communicate into any kind network otherwise. So there has to be a gateway that provides that first level of compute. There are other things that are evolving in the industry: think of say windmill generators, where there is lots of capability right there at the device level, there is a lot of compute built right into those systems. So things will run at that level, and then you have everything in between. Even something like BLE or Zigbee type of environments where there is wifi and ability to connect directly to a network. Typically, we’re finding organizations are reluctant to allow those kind of things to connect into their major networks without some security, apparatus and analytics to see what’s going on, so as not to create problems in their larger networks. So even there, a gateway may be necessary, not because of hardwiring or physical connections, but because you want some insurances in place at the edge before that data leaks on up to your enterprise. It’s the worst way to build our product except for all others. Vivien: What’s the worse about open source that you’ve experienced? Jim: *laughs* Now you are going to make me say some things in front of Brett and Michael as members of the Linux foundation… There is a quote by Winston Churchill that talks about democracy, saying it’s the worst form of government except all others. I kind of feel the same way about open source development. It’s the worst way to build our product except for all others. Because it does take time. It’s a community effort and anything done by a community automatically seeks a ground where it’s going to be the best and brightest product. So you get the best input from everybody, but it takes time. It’s easier for say something like Dell to go marching off and build a software solution that they think is the best. It will get there faster but it’s not necessarily going to get there in a way that the world and communities accept more easily. So anything built by many hands is going to take a little bit more time and a little bit more process. But it ends up getting a lot better results I think in the end. Michael: Whenever you have a community building something you can’t just come in and say “This is what you’re gonna build” because they don’t have to do what you say. And that’s true even with EdgeX. Everybody who is working on it is working for a company invested in it, but there is no one person who can say this is what you’re all going to do. So it’s not enough to say just what you want done. You have to explain and justify why and get people to buy into that. And that takes more effort, but you have to know that what you’re proposing is the right solution, that it’s going to work. If you can’t explain that, you can’t communicate that to the community then it’s not going to get done. As Jim said, it takes time but at the end product is going to be better. Jim: In this case with IoT, I will tell you that no one company will be able to provide it all. As Dell, we would love to be the company providing it all… (laughter) We have learnt the hard way that in an IoT landscape there are going to be certain things in the company that you can’t touch and IoT has to touch everything. Maybe it’s the network, hardware or operating systems, particular sensors and protocols. You can help to persuade customers to do some things in your way, but you’re never going to be able to get them to do everything in your way and that’s why IoT takes an ecosystem. Which is why we think the second part of EdgeX is so important; our product is important, but just as vital is the ecosystems. We have a collection of companies all trying to work together to provide for interoperability. That is just as important as the actual end product we develop. No one company will be able to provide it all. Vendor lock-in is not going to work in IoT. Michael: Vendor lock-in is not going to work in IoT. There is no way any company is gonna be able to provide all the needs of somebody. So having an equal playing field for everybody, having that common ground that anybody can come to and interact with anybody else, is what’s going to allow us to fulfill the promise of IoT in general. P.S. You can meet Brett, Michael, and Jim at the Open IoT Summit Europe in Edinburgh in October. Please help us learn more about the data persistence landscape on the edge by filling out our small questionnaire (literally 2 minutes). Thanks! ObjectBox 1.0 is a SQLite database replacement. It makes object persistence on mobile (and IoT) devices simple and fast. Don’t get us wrong: we think SQLite is a great piece of software and SQL is really powerful. We just do not love touching SQL so much when developing apps. That’s why we developed a very fast and easy alternative. Thus, with a single put(playlist), ObjectBox will not only persist the Playlist object but also the two associated Song objects. This also works with objects that were already persisted in the database. A common challenge with relations is that they are typically loaded lazily. This can cause brief delays when accessing a relation for the first time, because the data must be pulled from the database at that moment. This in turn can cause the UI to slow down, e.g. when scrolling through the list (known as the “N+1 query problem”). Obviously, this may be harmful to the user experience and thus something you try to avoid. That is one of the reasons some ORMs do not support relations at all. ObjectBox solves this challenge by enabling queries to preload relations in the background – aka “eager loading”. This makes processing the query result in the main thread super fast. Once the query is processed, eagerly loaded relations do not touch the database at all. We want to keep things simple. The objects returned from ObjectBox are POJOs (plain old Java objects). When you get an object, all properties are initialized and ObjectBox will never change the values. And, of course, you can pass those objects around in different threads. Let’s also have quick look on entity classes. First, ObjectBox does not enforce a specific base class. You are free to extend from any class. Second, the classes also define the data model in the database (the “database schema”). Adding and removing entities/properties just work. Only renames require your interaction. The days of CREATE TABLE scripts are finally gone, and typical data model updates do not require migration scripts. We keep saying ObjectBox is fast. But how fast? And for what? We put together an open source benchmarking app, which come with a couple of performance tests for CRUD, queries, etc. Please check it out, have a look at the code, and make up your mind on the performance of ObjectBox. We really want to provide fair benchmarks. A big thank you goes out to everyone who helped us in our beta phase (e.g. reported GitHub issues, blogs, …). 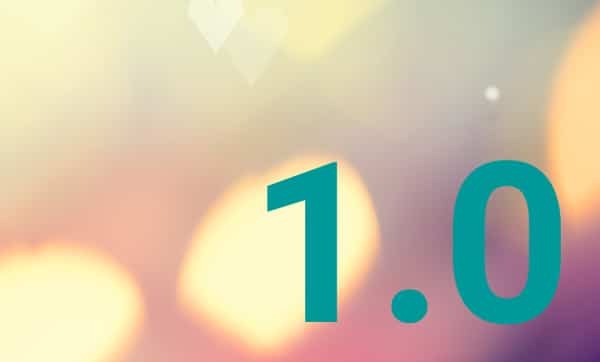 It was only with your help that we reached version 1.0 now! As a special sign of appreciation, we’ll send out exclusive “early adopter” ObjectBox T-shirt: just write to us (contact@… – our domain) by September, 15th, with a link to your contribution along with your size and address. We will add each and everyone that supports us and is part of the ObjectBox journey on our About us page! ObjectBox really is about you. So, let us know how you contributed (small things sometimes matter most…) and send us your picture and link (e.g. to your GitHub Account, Website or LinkedIn page). Our vision for ObjectBox is edge computing. It brings the data back to the user, to the device in his hand or home. We believe this is the future of computing. Small devices are tremendously powerful now, and it’s time to claim independence from the cloud while keeping in touch. Before we go all edgy, we will address some essentials: Our plan for Version 1.1 is to rework the query API to and make expose object link API (aka “joins”). We also have to do our homework with some corner cases for data model changes. And of course, you may still find rough edges with the 1.0, which we’ll get rid off as soon as possible. We are dedicated to make ObjectBox a pure pleasure to work with. We’re continually looking for feedback. Please do let us know what you think about ObjectBox: either by writing us at contact@… (our domain), or by answering these quick questions. Thank you!